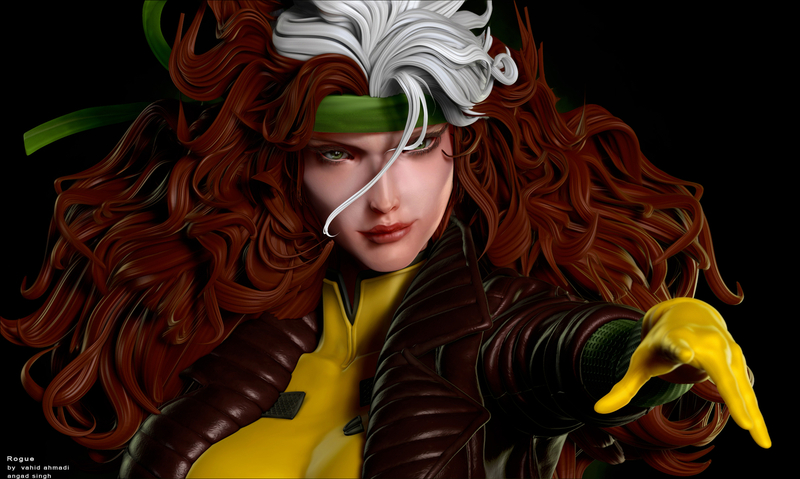 i tried to make some made up rogue based on jim lee concept hope you like it,this was a very quick project with co operating with a great super artist freind. Angad Sigh . i hope he sees this post. with quick zbrush bpr render .